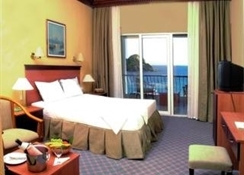 Right across the beachfront, this hotel has its own beach area, outdoor pools and spa facilities. It offers air-conditioned rooms with a satellite TV and balcony. All the rooms at Green Platan Club Hotel & SPA feature a private bathroom with hairdryer. A safe and a fridge are also standard. Some rooms are located in the club building. Daily breakfast is served in buffet style. The buffet restaurant serves world and Turkish cuisine, and there are more than one à la carte restaurant. The spa facilities include a sauna, Turkish bath and fitness room. Massage services can be provided. There is also a children’s playground. Only 35 km from Marmaris city centre, Green Platan Club Hotel & SPA is a 1-hour drive from the small seaside town Bozburun. Dalaman Airport is a 2.5-hour drive away. Free private parking is available on site. 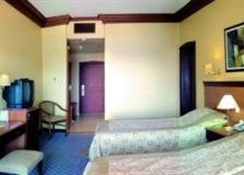 The club resort beach hotel features club rooms and 300 renovated guest rooms. 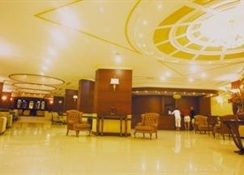 Guests are welcomed in the lobby with its 24-hour reception and check-out service, currency exchange facilities, lift access and a newspaper stand. Further amenities include a hairdressing salon, auditorium, games room, children's playground and kids' club. Dining, drinks and entertainment are provided by the cafï¿½, bar, disco and restaurant, whilst business travellers may make use of the conference facilities and Internet access. Room and laundry services are available for additional fees and a car park is provided for those arriving by car.